Over 80,000 turban wearing Sikhs died in the two World Wars, in both the European and Pacific theatres defending the rights of the Allies. Sikhs made up 25% of the Indian Army, despite making up less than 2% of the population. Infact, Sikhs do not make up more than 2% of the population of any country on Earth. In more recent times, Sikhs have prospered through their work ethic to become amongst the richest of all immigrants in the UK, Canada and the USA. 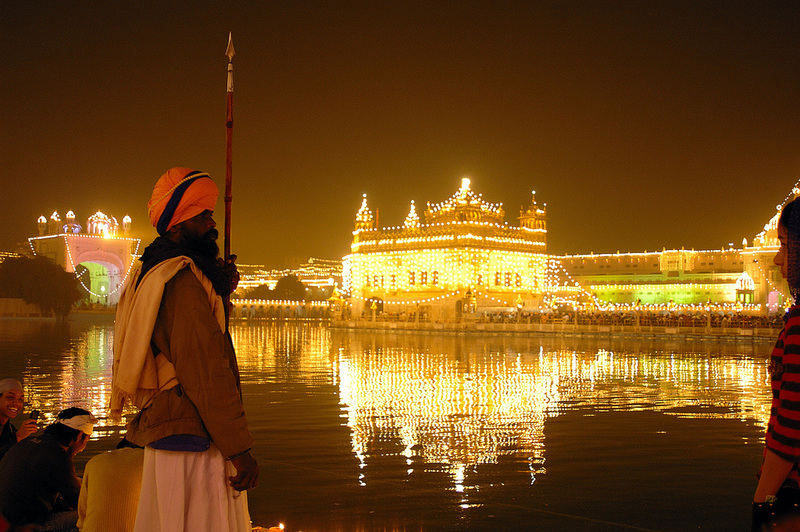 A 2014 study by the BBC found that Sikhs were the most generous of all faith groups in the UK in their donations to various charitable causes. Winston Churchill, in an address to Parliament on the topic of issues with Sikh Turbans and laws of the time mentioned that: "
It's a shame that those turbans, that fell in the fields of France defending western culture, are the very same turbans now seen as being incompatible with western culture. Sikhs do not believe in a God in the Abrahamic sense of the word, but meditate on 'Akaal', the timeless energy. ​Sikhi is not a proselytising faith and does not actively look for converts, preferring that individuals make their own decisions, and only asks that people live their lives in a way that does not hurt others. 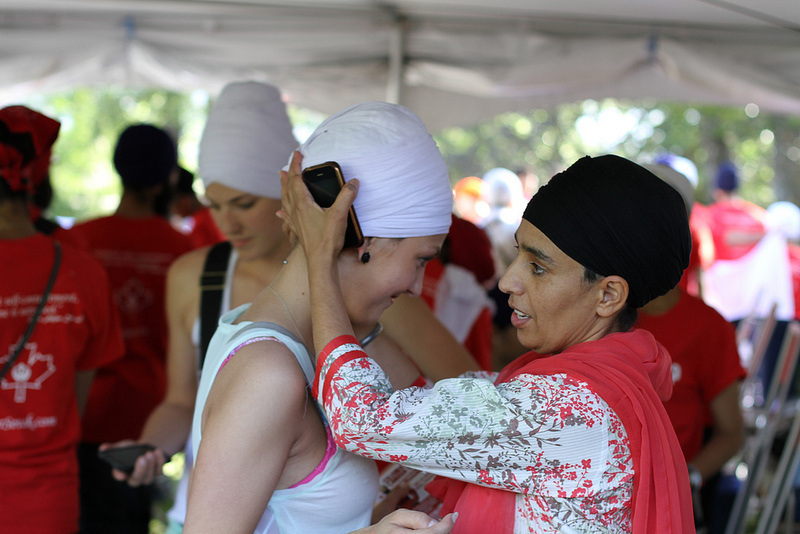 Sikhs believe in the absolute equality of all human beings,regardless of gender, race, caste or creed. Karma plays an important role in Sikh philosophy, with treatment of others a central part of leading a good life. Sikhs believe that a person can attract positive and negative energy by the way they treat others and their mindset. Sikhs therefore aim to improve the lives of others, bring happiness and be happy themselves, even in the face of adversity (chardi kalla). Meditation is another central tenet of Sikhi. Meditation, mindfulness, and music (kirtan) are core Sikh practices. 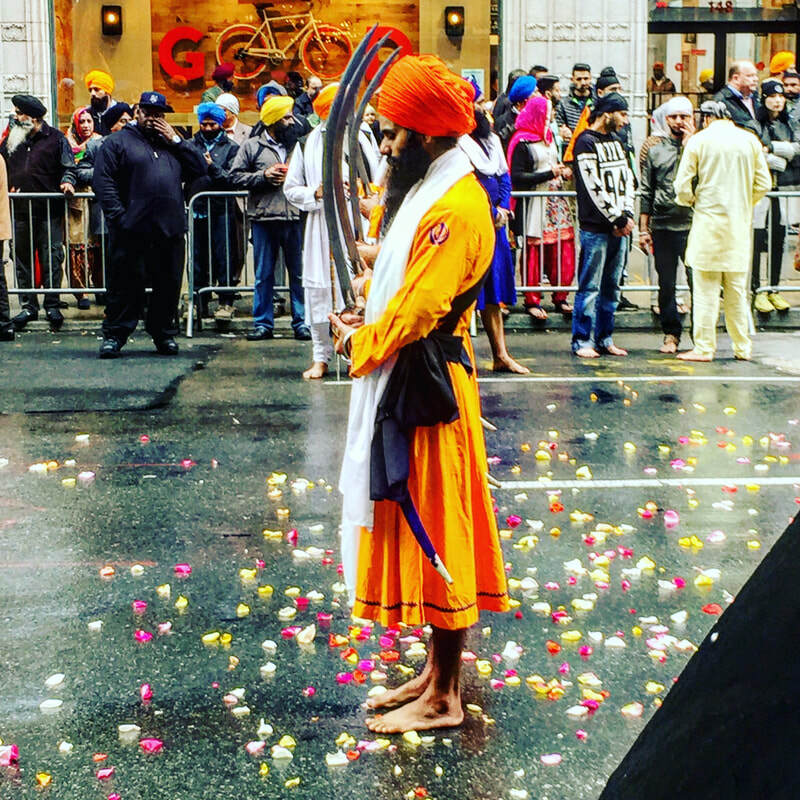 In an age where inequality was rampant, the tenth Sikh Guru gave Sikhs equality. In an era where surname's were a determinant of social class, the Guru ordained that all male Sikhs will have the surname Singh (Lion), therefore freeing them from the shackles of their caste. Gender inequality was another evil the Guru's tried to address. In an age old practice, where females were given the surnames of their husbands, Sikhi gave women their own identity and surname, that of Kaur (princess). You will find that most Sikh men have the surname Singh, and most Sikh women have Kaur. (Kachera) A small undergarment that represents a Khalsa's commitment to control their base instincts of anger, greed, lust, attachment and conceit. The Khalsa is what all Sikhs aspire to, and traditionally the Khalsa is what made the backbone of all Sikh armies. However, you will see Sikhs who may not yet be initiated but will keep a subset of the 5K's in preparation of full initiation. Sikhi is non-judgemental and does not push anyone to commit to being a Khalsa if they are not ready so you may also come across Sikh's who keep just the hair on their head long, but have short beards, others will be a step further removed with short hair. The Khalsa can be shown by their conduct and 5K's, a Sikh is defined as someone who follows the teachings of the Shabad Guru.